Norton Mobile Utilities Lite is a free Android app. It boosts up the overall performance of your Android devices. It acts as a powerful App Manager by which you can uninstall apps, stop the execution of running apps, take back ups of your apps, or can even move the apps onto your SD Card and can accomplish lots of other things, as well. Temple Run, the running game from Imangi Studios is already a big hit with gamers all around the world. And now, you get to have the sequel for this thrilling and exciting running game in the form of Temple Run: Oz. Imangi Studios has partnered with Disney to release the stunning game of Temple Run: Oz. If you are using Smartphone like Apple iPhone or Android devices which have camera LED flash then you can easily convert your phone flash to torch. Many times it happens that in the night or in dark places where we need light to find switch board, find keys in your car, or something else at that time we think if we had a torch. Well, we are all familiar with searching on the web. If we have to search anything on the web, we go to a search engine website and type search keywords and begin our search. Likewise, we do a search on our mobile. Keywords are the basic term for any search, but what if we have to search through an image? 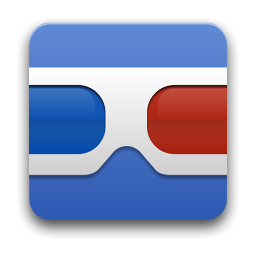 Google Goggles is the solution for this. Social Networking plays an important role in everyone life now and so the social networking sites. Two social networking sites which are used by most of the people are Facebook and Twitter. Facebook gives the option to chat with our friends those who are online. 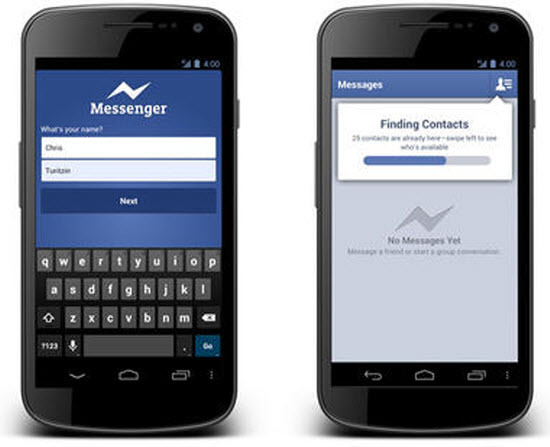 Facebook always tried to make it easier for its users to let them connected to their friends and family and for that they have various Facebook Messenger apps. Today is the world of mobile computing we use Smartphone’s and tablet which are easy to carry wherever we go. These mobile devices are not just limited to do few jobs for which a mobile phone is basically used. With the latest jelly bean update, all the Android smartphones are being upgraded with many fascinating apps out of which are the fitness apps to keep a track of your health regime. 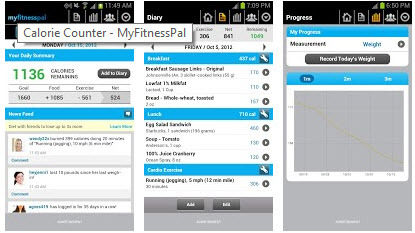 We have written about some health apps before here is another list of health apps which are updated recently. New Game or say further addition to the levels of most popular game Angry Birds – Angry Birds Star Wars. Rovio in partnership with Lucasfilm has launched this new game almost for all devices iOS, Android, Windows Phone, Mac, PC, Kindle Fire and Windows 8. Like the previous version of Angry Bird, this version will also keep you engage for hours. There is always a story created by Rovio to present the game the story with Angry Birds Star Wars. Android Gaming Apps are a huge hit with the users all around the world. All the more, there is a huge craze for Android Casino Games as well. Very true you cannot be there at the Vegas all the time but certainly you can enjoy and have a great time with Android Casino Games too.